The diagram demonstrates the similarity (although of course on a much different scale) of the structure and purpose of a brain cell and that of an electrical connection. The cell body is similar to the switch. 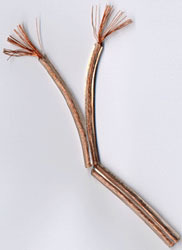 The axon is similar to the wires that connect the switch to the light socket and the terminal end of the axon (the spot where the nerve impulse leaves one cell and enters another), is similar to the end of the wire that connects to the light socket. The axon is the part of the nerve cell that transmits the nerve impulse from one nerve cell to another, in a similar way that electrical impulse are transferred down a wire. Like a wire, if the axon is torn or broken, the nerve impulse will not be transmitted. And like a wire, axons may have insulation, which when it becomes damaged as a result of forces placed against the axon, may cause serious problems to the nerve cell, even if the axon is not actually torn.